Today, April 11, 2019, the United Architects of the Philippines will confer the highest distinction to Arch. Philip H. Recto as 14th UAP Likha Gold Medal Awardee. The conferment will be held during the Honor Dinner of the 45th UAP National Convention. 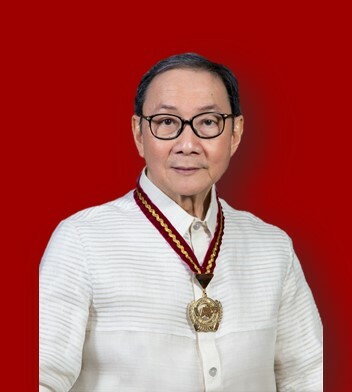 Philip H. Recto FUAP is a graduate of the University of the Philippines and began his career in the office of Felipe Mendoza, under the tutelage of Ar. Froilan Hong. He later worked with Leandro Locsin & Associates, where honed his design prowess in landmark projects, such as the Cultural Center of the Philippines. Obtaining his license in 1971, he got his first commission – an integrated textile knitting factory project in Singapore, where he spent his next 5 years gaining invaluable experience in various building types. He then became an executive architect of Ang Kheng Leng & Associates, one of the biggest firms in Singapore, with branches in Kuala Lumpur and Penang. Having engaged in prestigious projects - including the International Plaza, which was the tallest building in Singapore at the time - and now equipped with expertise and maturity, Ar. Recto came home and set up his practice in the Philippines, in partnership with his good friend, Ar. David SyCip Jr. In 1978, he finally set up his own office where he went on to carve a niche in the design of "functional, no-frills buildings", with numerous landmark structures ranging from first-class office towers to compact, high-rise residential condominiums. His unblemished record and high ethical conduct are hallmarks in the building industry today, believing in honesty, integrity and diligence as the foundation of service in gaining clients’ trust and confidence; and he has inculcated such values in his associates and staff. Along with his wife and fellow devout Christian, Ester Chiong, Ar. Recto believes in the importance of incorporating Christian values and teachings into all aspects of daily life. They generously support a variety of Christian ministries. Ar. Recto was 2-term president of the UAP Makati Chapter and has since served the UAP in various capacities, as Convention Chairman in 1985 and as National Vice President in 1987, among others. He became a Fellow in 1986, PRC's "Most Outstanding Architect" in 1998, "Outstanding Alumnus in the Field of Architecture" of the University of the Philippines in 1999, PFPA's "Professional of the Year" in 2008 and in 2012 became the first architecture graduate to be bestowed the UP Distinguished Alumnus Award in recognition of his significant achievements and contributions to the country. 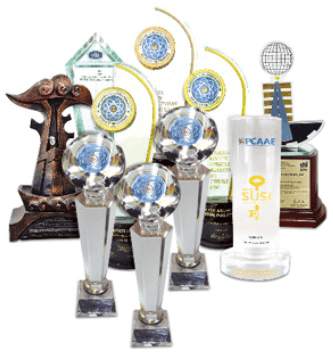 The Philip H. Recto Design Excellence Award for the outstanding thesis was subsequently instituted by the College in 2000 and to date has 176 awardees, 33 of whom were sent to Singapore, Hongkong and Shenzhen, China. He continues to serve as judge in various local and international design competitions.